The ability to deliver training online has allowed the expansion of audiences far beyond what physical classrooms would could ever entertain. And while this far-reaching sphere of influence is fantastic from a business perspective; the training can come across as less personable. While the convenience of being able to access classes at any time is a great thing. It is also important to keep your users engaged in their training and give them motivation to want to return, complete, and (ideally) take more training. Axis LMS attempts to give admins the tools to re-incentivize and drive their users back to their training frequently with something referred to as ‘badges’. Badges – while simple in both concept, and implementation – are an easy way to keep users coming back. They provide a way for you to plant goals throughout your system, encouraging your users to continue exploring the system. One of the most astounding aspects of Badges is how they are a completely separate entity from your training. Their being awarded does not directly add or take away from the training you have already implemented in your system. Badges are an extra, fun feature, originally introduced as something akin to Trophies or Achievements in modern console gaming systems. 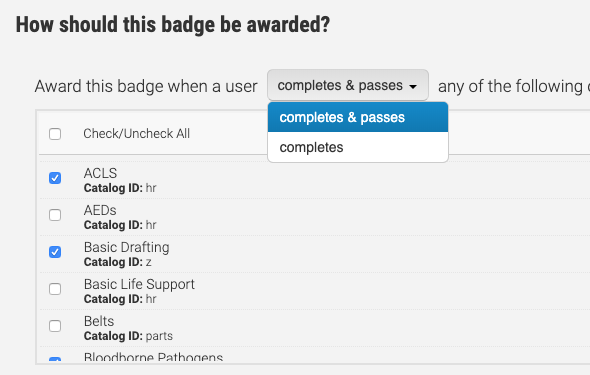 This independence from your training means that Badges can be introduced to your system at any time, and will only enhance a user’s experience. Admins who have introduced Badges to their users have noticed trends to suggest their implementation has actually increased the participation rate in their system; users who had logged in tended to use the system for a longer span of time than users who had receded before the Badge implementation. While these stats may not all be attributed towards Badges, their inclusion cannot be discounted. 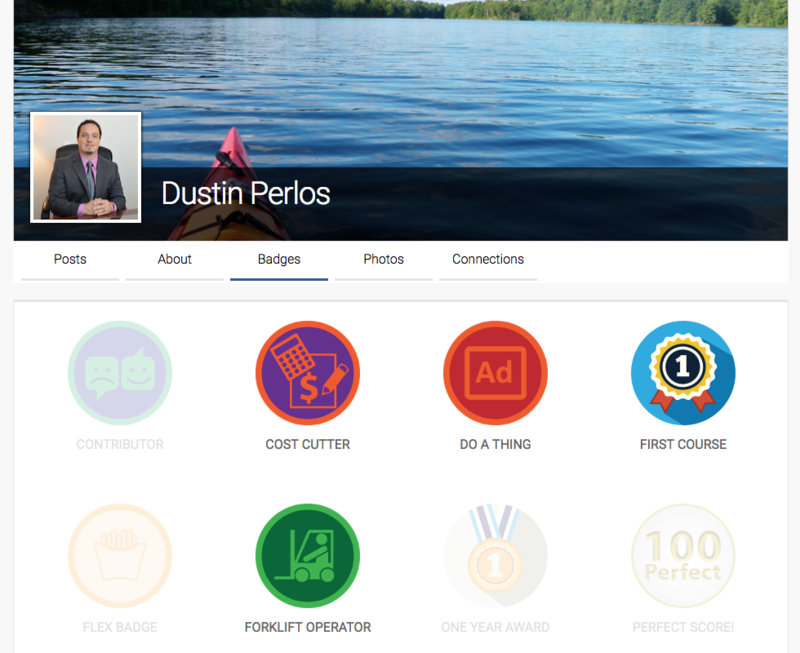 Inside Axis LMS, Badges are created through the Talent tab. Each Badge can be created by assigning an image, a title, and an optional brief description. 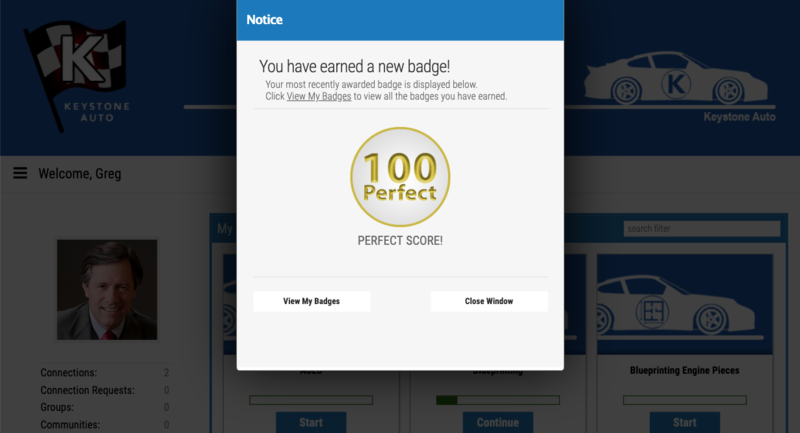 After its creation, each badge can then be set to be awarded via a trigger, completing courses or certifications, or even just logging into the system. 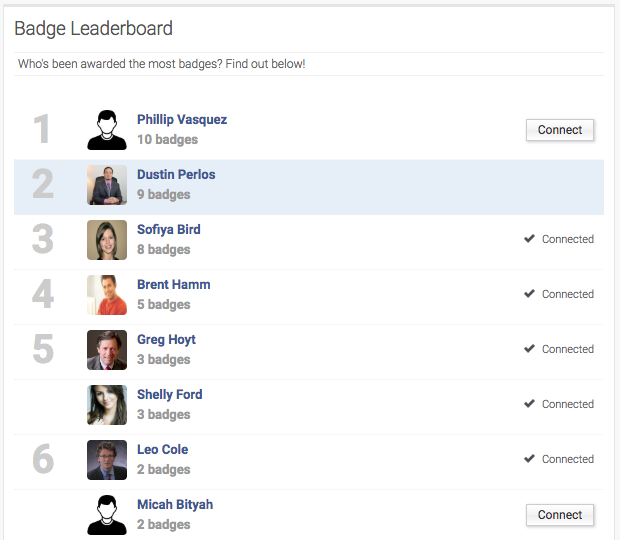 Each badge a user earns sends them closer to the top of the Badge Leaderboards (accessible via UserConnect or as a Widget in the user’s Learning Portal). The Leaderboard is another aspect of the Badges intended to further drive users to want to interact with the system, and drive them to earn more badges. Learn more about badges and their implementation here. This entry was posted on Monday, August 27th, 2018 at 2:58 pm	and is filed under ELearning 101. Responses are currently closed, but you can trackback from your own site.